Metro is hosting four public meetings in April where the general public is invited to learn more about a fare increase for the Metro Transit system and provide their feedback on different proposals. In response to increasing demand for public transit and rising operating costs, Metro is evaluating different options that would raise transit fares to help financially support the existing system and continue Metro’s plans for service enhancement. Periodic fare increases were included as an integral component of the region’s Moving Transit Forward long-range transit plan. The plan calls for raising fares by a small percentage every two years to address the transit system’s growing capital and operating needs while avoiding sudden dramatic fare increases. In addition to attending a public meeting, comments on the fare increase can also be made by phone at 314-335-3433 or by email at FareIncrease@metrostlouis.org . Metro will be accepting public comment until Friday, April 27, 2012. 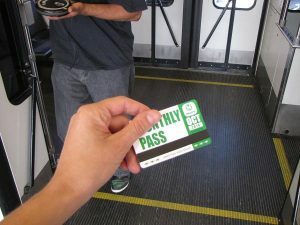 The fare increase will be effective in July 2012. If we want to learn more about your proposed fare increases, why do we have to attend a meeting? You have a website and this blog, which seems like a perfect place to post the documents or whatever materials that would be presented at these meetings. We definitely will. We’re working on the topic right now, and want to make sure we are presenting the information and options clearly. We are proposing a 4-5% fare increase as part of small, regular fare increases to keep up with costs but not lead to big, all-at-once increase. This was proposed as part of Moving Transit Forward. The last scheduled fare increase was supposed to be in 2010, but was postponed after the passage of Proposition A. We will present more information on the proposed fare increase this week. Well, until you all get some facts out, the newspapers are dreaming up their own stuff right now and getting the message out for you. The Belleville News Democrat is even implying you’re going to have a $2.36 MetroLink fare and require exact change. Thanks for the info. It looks like they may have changed their language, as I’m reading $2.35 in their article. Fare increase? Wouldn’t one think that public transportation should be affordable for families, especially lower income families? Why not offer a family monthly pass? We do not have a family car. At the current rate it costs nearly $140 per month for me and my teenage daughter to ride the bus–way more than gas prices. If we, as a family, wanted to use public transportation regularly to get around town it would cost more because my family consists of more than two people. A lower income family and many middle income families cannot and will not use public transportation as an alternative form of transportation because the rates will be even higher. Would you believe that rates in San Francisco are cheaper than St. Louis? Yes, indeed they are–check it out. St. Louis has more expensive public transportation than one of the most expensive cities in America. People wonder why our city is so behind the times? Get with the program. DO not raise rates and think creatively to solve the current rate problems. Suzanne, thank you for the feedback. 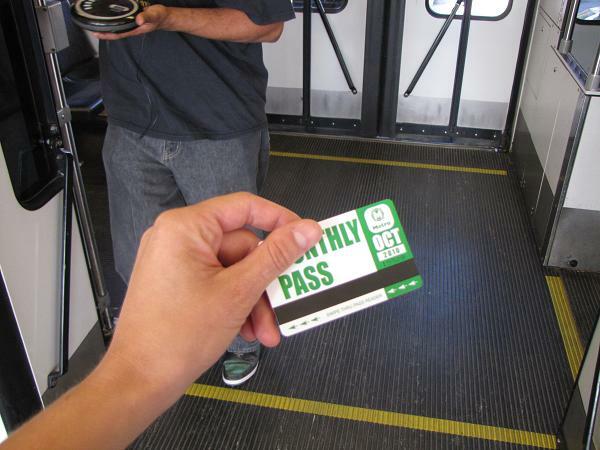 The fare increase will be small, only 4-5%, to keep up with rate of cost increase. We have not had a fare increase since the beginning of 2009, and postponed the increase planned for 2010 after the passage of Proposition A. The rates of transit passes are hard to compare across cities because they are all funded differently, with different amounts of money coming from local and state sources. We do not receive very much (less that $20K net) from the state of MO. As soon as well have details about the options for the community to discuss regarding the fare increase, we will post it here. This should be an interesting read, once Metro publishes the info on fare increases. I understand that different transit systems are funded…well, differently, and comparing fares between cities is difficult because of how each system gets its money. For me, however, I think our fare system is overly complicated. Why are we still using transfers? Charge one price, and make the ticket good for 4 hrs (or whatever the longest transfer is good for). Get rid of the silly 1$ upcharge for taking the train from the airport.